Hyun received a B.S. in Economics and International Business from NYU Stern School of Business. He commissioned into the U.S. Army Reserve via Fordham (NYC) ROTC in 2011 as an intelligence officer. 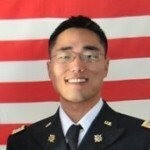 Hyun has deployed to Afghanistan on two occasions in 2012 and 2014, augmenting special operations forces. Hyun will attend University of Virginia School of Law as a member of class of 2018.